Weekly time cards feature a seven-day time period to record regular hours, deductions, gross and net pay and four days overtime. 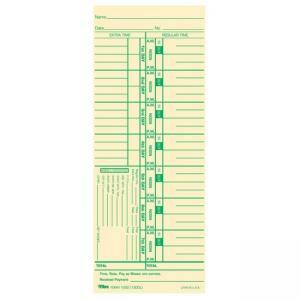 Time cards are designed for full payroll deductions with weekly numbered days. Extra-heavy 150 lb. manila stock is printed in green on front. 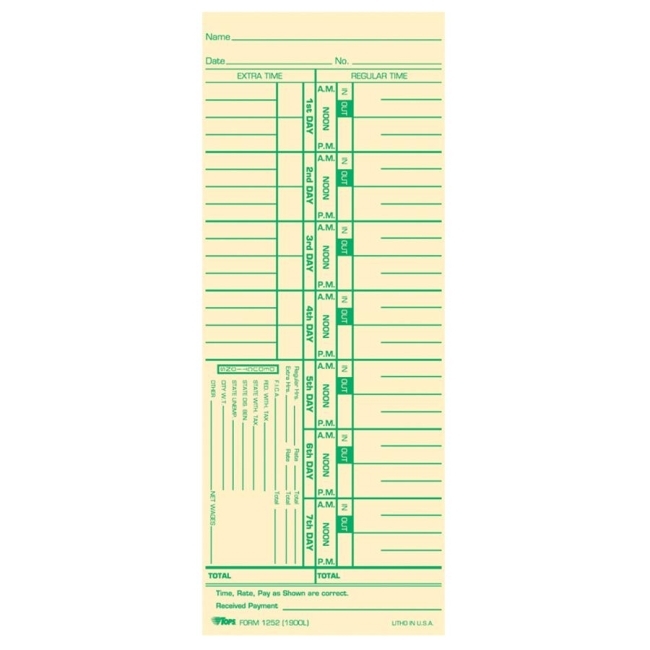 Time cards are designed for use in Acroprint 125R, 150R, ES700, ESP180, 175TR; Amano NS-23600, 3800, 5400, 5600, 1000, 10000; Lathem 2100, 4000, 5000E, 1000E; Simplex KCF, KCG, JCG, and JCP.